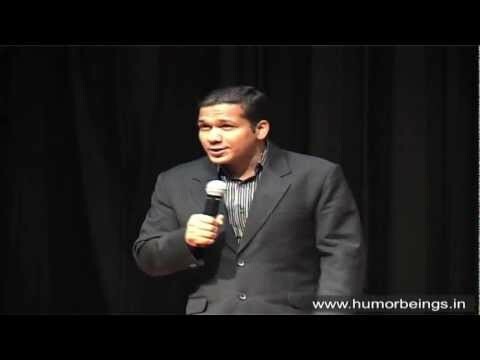 With more than 700 shows in his experience Nitin Gupta is a full time stand-up comedian who is best known for his observational comedy as his life is as boring as watching the latest season of Big Boss. He loves making fun of others as you can find a huge bunch of comedians who crack jokes on themselves but Nitin doesn’t belong to that league. His stories are fictitious and any resemblance to the real life will be mere a coincidence. Since he is a sanskari guy making eye contact with his audience is not acceptable to him hence he keeps his audience in dark. While doing corporate shows he makes sure to deliver only veg content because he keeps eggetarian dishes for colleges and mixed cuisine for bars clubs and pubs. And if the venue falls within the 500m range of the highway he prefers serving dry and continental menu.